MWC is just about two weeks away, and that means Samsung is gearing up for its next flagship, the presumably-named Galaxy S6. Now, a few days back, we saw the first two teasers from Samsung, indicate a superior camera and faster performance. On this one that was dropped yesterday on Twitter, Samsung hints at a premium hardware for its handset. While the video did not explicitly spell out the material, it talks about “beautiful things” that has been made into the device. The artwork that flashes around the video is certainly suggesting a metallic construction. 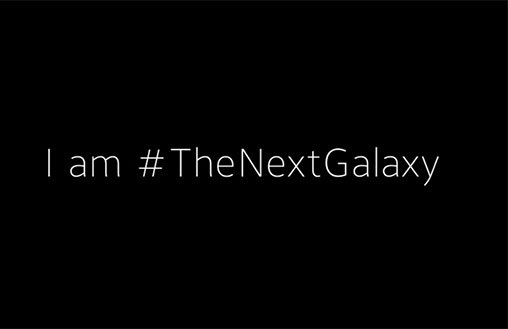 Lastly, the final scene, where it says “I am #TheNextGalaxy,” the picture shows a very thin device, with no appearance of the camera hump that we have been worried about. Also, there is no indication of an edge-curved display like many leaks have shown, excention the curve around back. But if I am given the curve screen rumors a bit more, then that back might actually be the front, and we’ll indeed have a curved screen. However, as of right now, things seem unlikely.